TOMORROW! 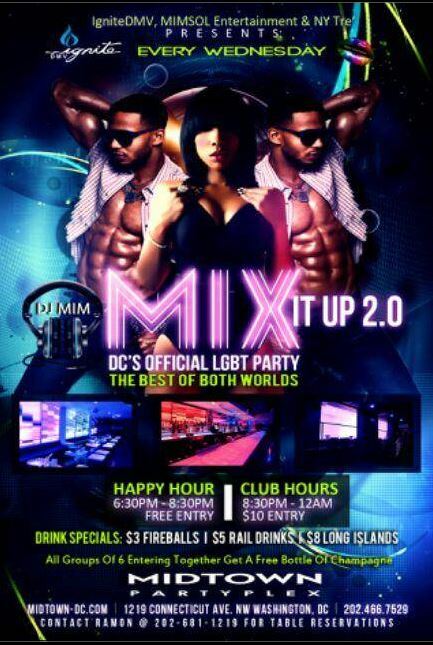 #MixItUpWednesdays at @MidtownDC with music by @DJMIMDC! This entry was posted in DJ MIM, Events and tagged dj mim, DJMIMDC, Mim Sol Entertainment, MimSolEnt, Mix It Up Wednesdays by MIM Entertainment. Bookmark the permalink.